Yet, there is still a knowledge gap on the many consequences, especially in the long run, of introducing such massive amounts of plastics in all kinds of forms (nano- to macroplastics) into the environment. Specifically, responses and functional consequences of microbial communities that form the bases of ecosystem food webs are largely unknown to date. A significant fraction of the plastic produced ends up in aquatic systems and are often channeled from the land via freshwaters into the oceans, where plastic rapidly fragments into pieces of less than a few millimeters (microplastics). Likewise, in some cases, plastics are manufactured in small sizes (for example the beads in many personal care items). These “microplastics” have emerged as a new contaminant and as a unique surface for microbial attachment and growth in aquatic systems. Many recent scientific publications highlight that microplastic biofilms — microbial communities living attached to plastic particles and embedded in a matrix of polysaccharides, DNA, and organic matter — have a different composition or structure than other habitats in aquatic systems. Therefore, it is essential to evaluate whether this translates into different functional capacities and metabolism as well. We analyzed horizontal gene transfer (HGT) among bacteria in microplastic biofilms and the surrounding water. With this focus, we intended to address if microplastics could produce alterations in the ecological interactions of planktonic microbial communities. For example, adaptation to environmental conditions by HGT — i.e. the acquisition of genes without the need of a parent-offspring relationship — has long been recognized as an evolutionary driver of life on Earth. The enhanced permissiveness of microplastic communities to exchange plasmids (circular DNA molecules) in a process called conjugation indicates this type of pollution can alter the evolution of microbial life. On the one hand, experiments reveal this is the result when introducing microplastic surfaces for attachment. These additional, artificial surfaces allow near cell-to-cell interactions which are the requirement for successful HGT. In addition, when comparing between bacteria attached to microplastic or free-living in the water placed in a similar matrix (polycarbonate filter) in equal amounts, a higher plasmid transfer rate of the microplastic communities has been found. This suggests adaptation and thus prevalence to increased gene exchange in communities of microplastics biofilms. The experimental proof was derived from incubations using a specific donor bacterial strain (Escherichia coli) carrying a plasmid molecule with a gene that confers resistance to the antibiotic compound Trimethoprim. The chromosomal and plasmid DNA in this strain had been modified to introduce fluorescent protein markers, that allow differentiating a donor from a bacterium that has received the plasmid (a transconjugant). This differentiation was achieved by flow cytometry. In one experiment, flasks were prepared with E. coli as a donor and a strain of Pseudomonas sp. as transconjugant. Some flasks had polystyrene microparticles to provide additional surfaces and to select for an attached lifestyle. The number of transconjugant cells detected by the flow cytometer relative to the number of donor cells was used to compare the rate of plasmid exchange of bacteria attached to microplastics vs. free-living in water. A 1000-times higher plasmid exchange (HGT) occurred among bacteria on the microplastics compared to those on water demonstrating that additional, artificial surfaces such as microplastic particles have the potential to dramatically increase HGT in the aquatic environment. 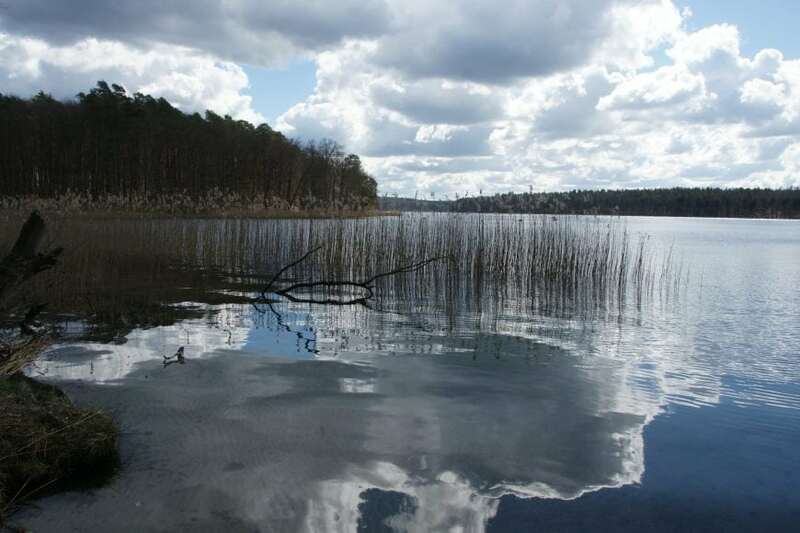 In a second experiment, polystyrene particles were exposed in Lake Stechlin, Germany, to allow for attachment and growth into biofilms by natural aquatic bacteria. Specific numbers of bacteria from the microplastic biofilm, as well as from the water, were later placed on a filter together with the donor strain. Similar to our lab experiments, quantification of the transfer rate on the filters indicates a substantially increased HGT rate (100 times) for bacteria on microplastic than those in the surrounding water. A smaller difference in HGT between bacteria on microplastic and in water was obtained when natural aggregates and their associated bacterial communities were present in the sample. This indicates that surfaces per se have the potential to increase bacterial HGT. Additionally, the coupling of flow cytometry with fluorescence-activated cell sorting (FACS) allowed us to isolate the transconjugant cells after this experiment. Subsequent analysis of their DNA revealed the plasmid was transferred to a wide variety of taxa indicating microplastics increase HGT is increased in natural communities. These results highlight a new dimension of microplastic pollution, i.e. the alteration of gene exchange dynamics in aquatic ecosystems. Given the importance of HGT for microbial adaptation and evolution and the fundamental role of bacteria in aquatic food webs, this has enormous implications for bacterial activities and functions, e.g. global nutrient and carbon cycling. The chance that bacteria attached to microplastics harbor multiple antibiotic resistance genes increases in specific environments, e.g. wastewater treatment plants, where the number of antibiotic-resistant bacteria and microplastic particles is high. When released into the environment, plastics provide a unique surface enhancing the spread of antibiotic resistance genes in the natural environment. More research will provide better knowledge on interconnections between enhanced HGT on microplastics and specific alterations of the aquatic food web including the transfer of antibiotic resistance genes to natural organisms including humans. Consequently, this so-far neglected mechanism needs to be taken into account for a reliable health risk assessment by the massive anthropogenic plastic pollution of the environment. These findings are described in the article entitled, Microplastic pollution increases gene exchange in aquatic ecosystems, recently published in the journal Environmental Pollution. This work was conducted by Maria Arias-Andres (Leibniz Institute of Freshwater Ecology and Inland Fisheries, Potsdam University, Universidad Nacional, Campus Omar Dengo), Uli Klümper (University of Exeter), Keilor Rojas-Jimenez (Leibniz Institute of Freshwater Ecology and Inland Fisheries, Universidad Latina de Costa Rica), and Hans-Peter Grossart (Leibniz Institute of Freshwater Ecology and Inland Fisheries, Potsdam University, Freie Universität Berlin). 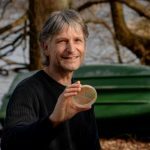 Hans-Peter is a research scientist at the Leibniz Institute of Freshwater Ecology and Inland Fisheries. Previous Post« Previous Can Curry Treat Dementia?